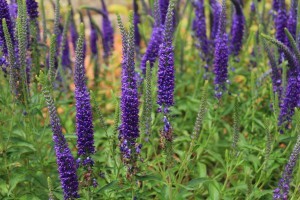 We’ve compiled a list of the hot, trending perennials that the nursery industry is all abuzz about. These are all items that we will carry this year and very few Central Nebraska nurseries will carry these hot, brand new items! Check out these plants below and be the first one on the block to have them. This prairie plant is a result of more than a decade of complex hybridizing. 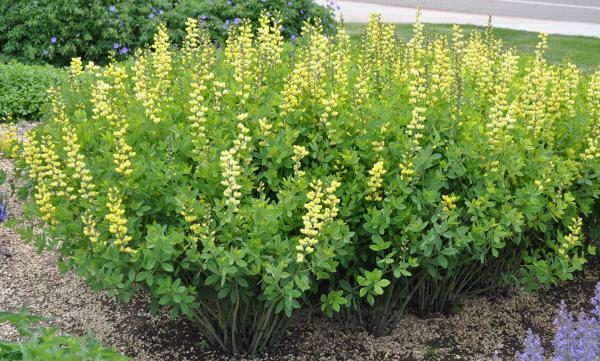 Lemon Meringue provides three season interest: superior bright-yellow flowers in early summer, carried over dark charcoal stems on a strong shrub for the rest of the summer, and ornamental seedpods extends interest into fall. 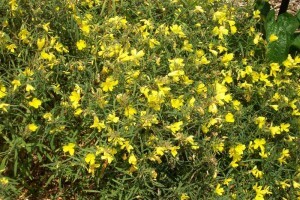 This drought tolerant, long lived perennial grows about 3’ tall & wide. 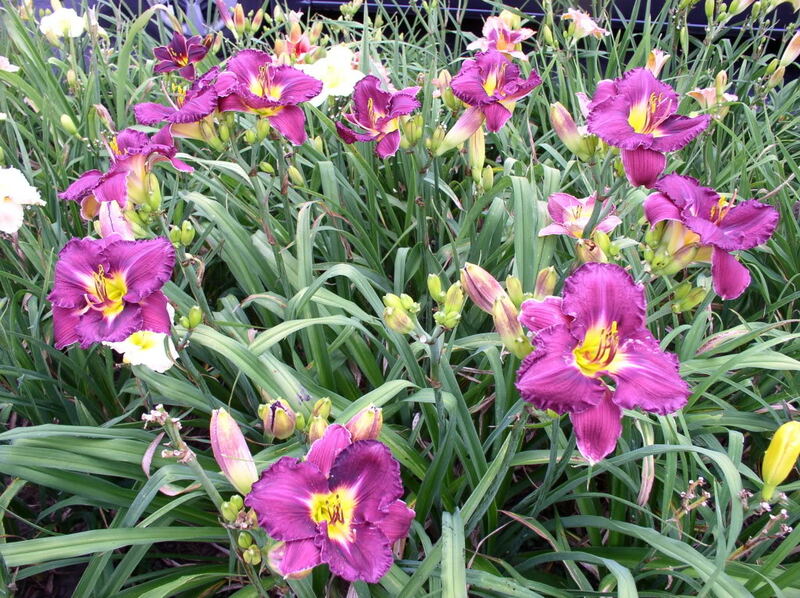 Shimmering dark purple, very sunfast, fragrant flowers with a chartreuse throat and ruffled petals cover this new, exciting daylily. 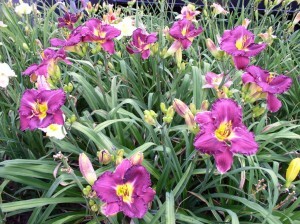 Large 6” flowers bloom mid-summer and have a very high bud count ensuring beautiful blooms for many weeks. Nosferatu looks striking in mixed plantings against hot orange or bright yellow flowers. Grows 26” tall. 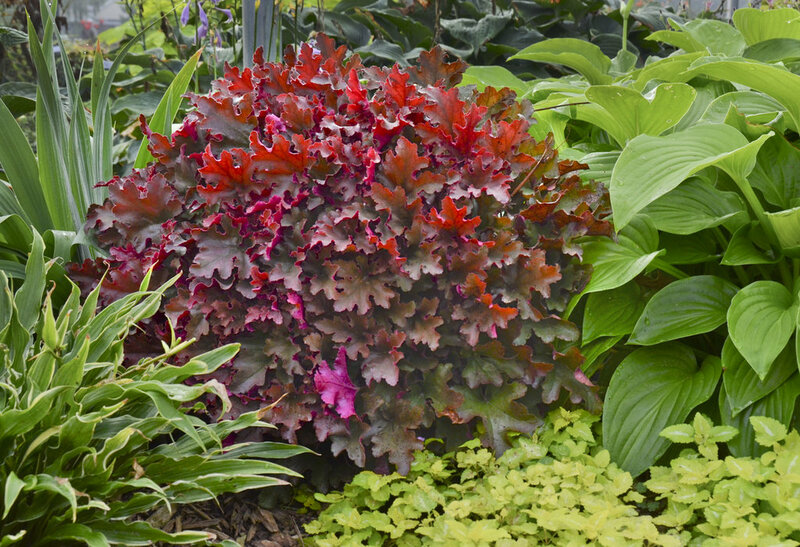 This classy heuchera has a neat, compact habit that remains dense, elegant , and refined throughout the season. Cinnamon Curls’ color commands attention in the planting bed. 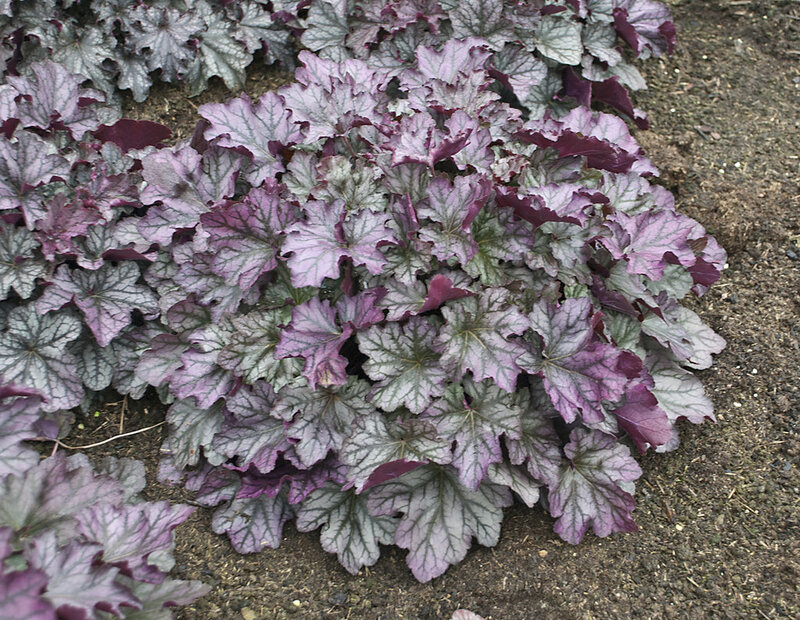 It’s ruffled leaves boast coppery orange, red and purple tones with bright magenta-red undersides. Both varieties grow about to 10”. One of those perennials that comes around, that is simply ‘To Die For’! Cherry Cheesecake’s beautiful buds burst into dinner-plate sized, ruffled, white flowers with a cherry-red eye, magenta tipped petals, and matching magenta veining. 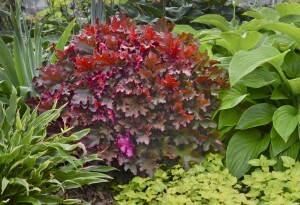 It’s dark green, maple-like foliage forms a compact, well-branched mound. Be sure to try this gorgeous specimen for the late summer garden. Grows 4’-5’ tall & wide. This stunning large hosta makes a fabulous specimen or focal point to the shade garden. Goodness Gracious has the qualities that make a great hosta including large, dark green, heart-shaped leaves of good substance with wide bright yellow margins. 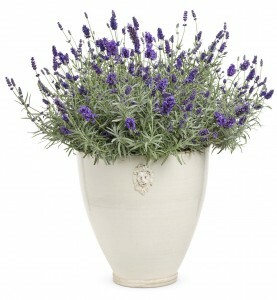 Light lavender, summer flower sit just above the foliage in early to mid-summer. 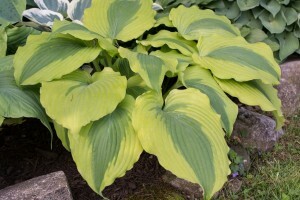 This hosta will brighten any shady area! Grows 30” tall & wide. 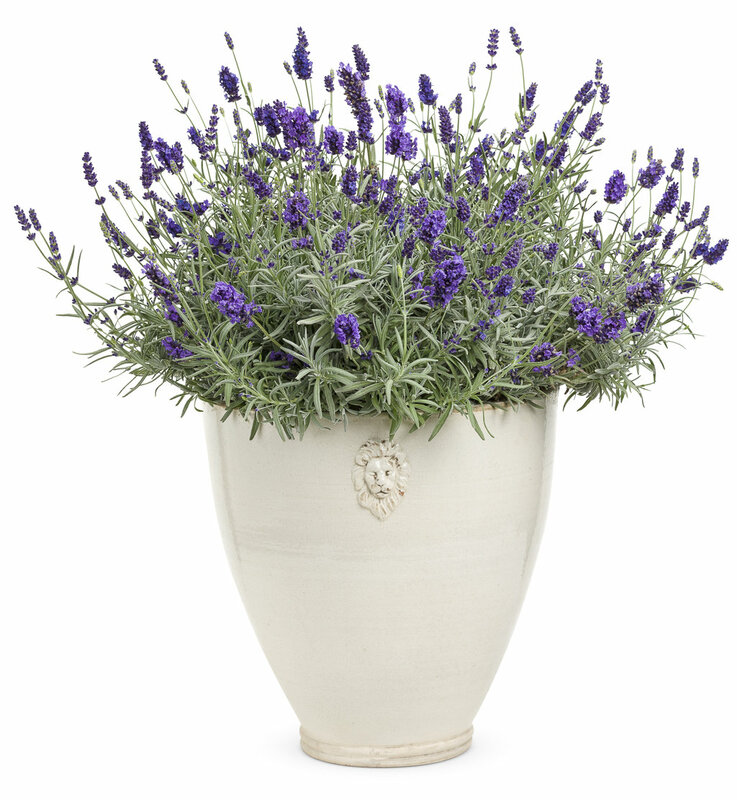 One of the best performing lavenders because its ability to bloom profusely the first year! The fragrant grey-green foliage forms a compact mound topped with plump, rich violet-purple flower wands that are perfect for cutting for fresh or dried bouquets. Sweet Romance is an excellent choice for containers. 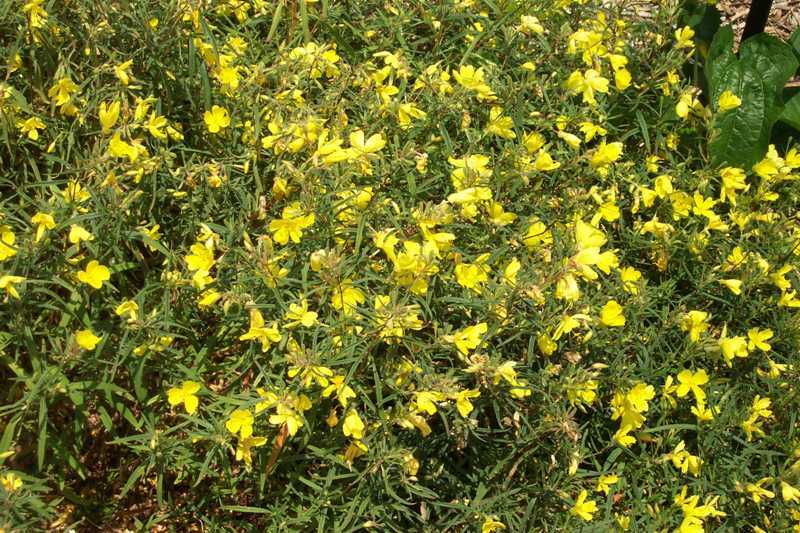 It grows best in full sun and well drained soil and is very heat and drought tolerant. Grows 12”-18” tall and wide. This well mannered Shasta Daisy brings cheerful sunshine to borders, bouquets and containers. 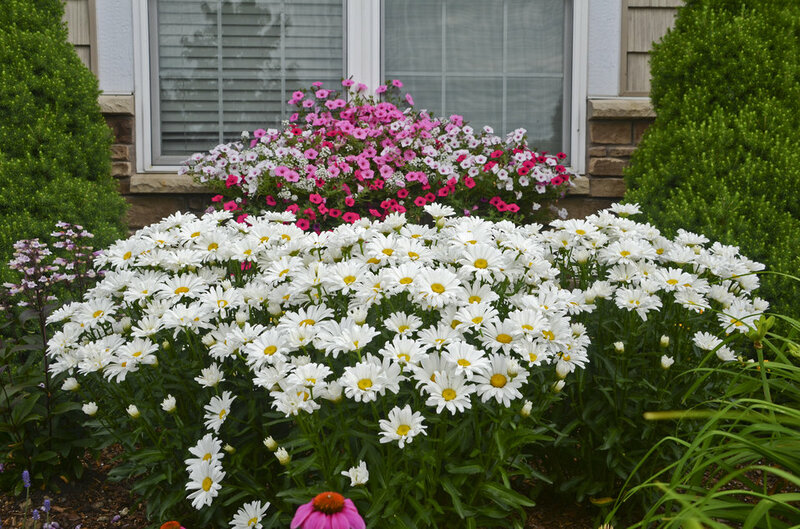 Bright white petals centered with gold form a solid dome of large flowers that bloom all summer long. Daisy May makes a happy addition to any perennial border or container. Grows 12”-24” tall & wide. A perfectly proportioned plant with its mustard yellow flowers held on chocolate stems just a the top of top of the dense clump of foliage (no naked stems showing on this variety)! 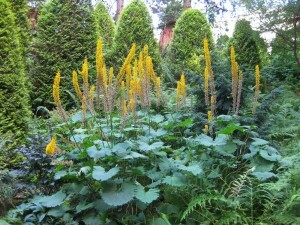 Bottle Rocket is a robust ligularia with very thick, large, serrated leaves and a dense, clumping habit. Doesn’t wilt in the summer heat. 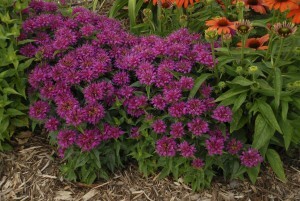 Grows best in afternoon shade and moist soil. Grows 28-34” tall & wide. 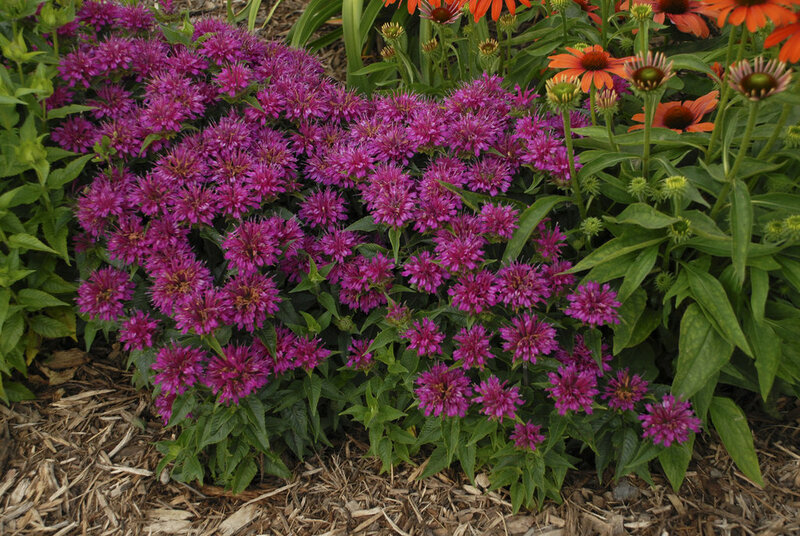 For such a petite plant, this bee balm boasts large colorful fuchsia-purple flowers from midsummer into early fall. 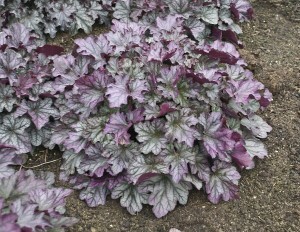 Pardon My Purple has very mildew resistant, glossy, deep green foliage that stays compact all season. It’s aromatic foliage and bright blossoms attract butterflies galore. Grows 10”-12” tall & wide. Truly the ‘cat’s meow’, one of the best nepetas we’ve seen! This first class selection keeps its tidy, dense, rounded shape all season. 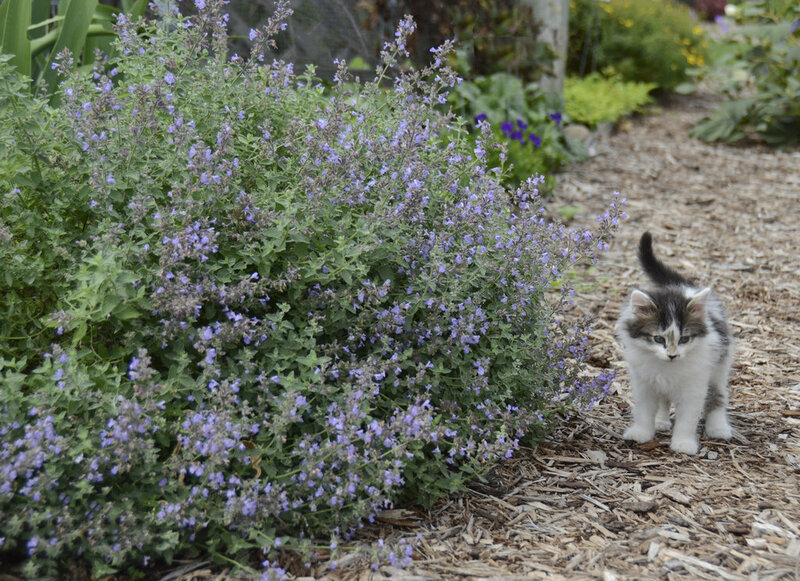 It’s small gray-green, aromatic leaves are topped with spikes of sky blue flowers from early summer into fall. Cat’s Meow has everything today’s gardener is looking for. 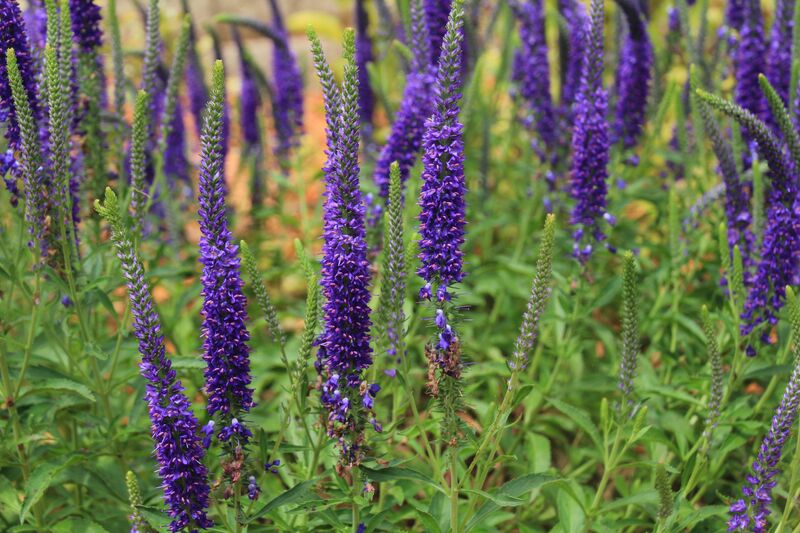 It’s a low maintenance, drought tolerant, deer resistant, long blooming perennial that looks good all season long. Grows 18”tall & 30” wide. A glorious summer-long bloomer for every part of the garden. Lemon Drop is covered with vibrant lemon yellow flowers all summer, even when the temps sizzle. Evening primrose are an underused perennial family that thrive in our Nebraska climate. They’re easy to grow, maintenance free, and drought & heat tolerant. Grows 8”-12” tall & wide. There’s certainly a little magic in this new veronica! It’s large wands of showy violet-purple flowers stand well above bright green, low mounded foliage. 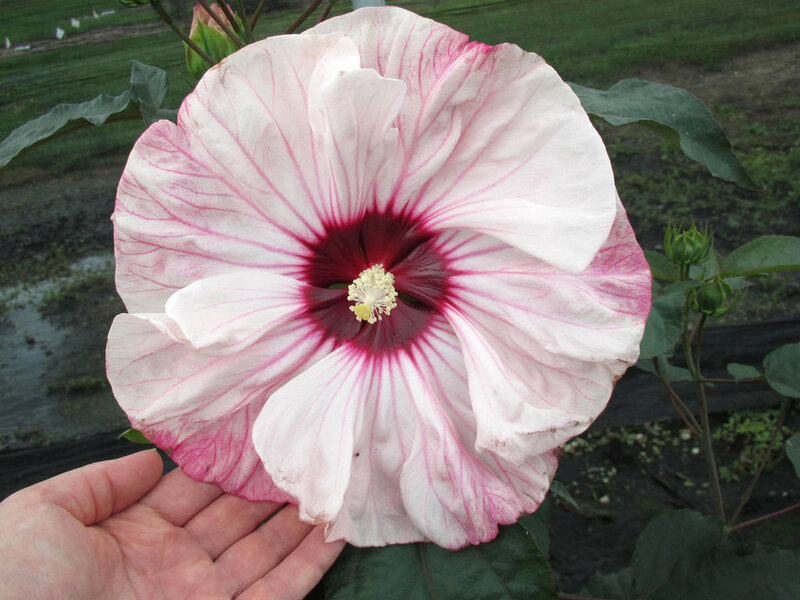 Hocus Pocus is incredibly showy in bloom from early through mid-summer. It’s a butterfly magnet and deer resistant! Grows 16”-20” tall & wide.